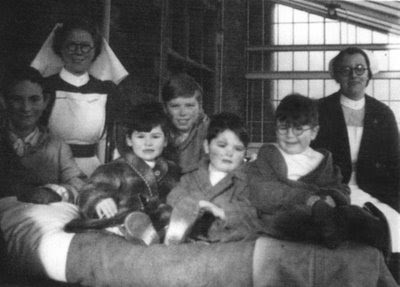 Roy Harry rings to tell me he is the boy wearing glasses. He had never seen this photo before so I am putting him in touch with Gerwyn Davies who sent the photo in. Brecon museum and "The Children of Craig-y-nos"